The Department of Education in its effort to prevent fraud and abuse in the Federal Pell Grant and Federal Direct Loan programs will identify students with unusual enrollment histories and describes how institutions must resolve this finding. The specific enrollment pattern of concern is one where the student attends an institution long enough to receive title IV credit balance funds, leaves without completing the enrollment period, enrolls at another institution and repeats the pattern of remaining just long enough to collect another title IV credit balance without having earned any academic credit. Some students who have an unusual enrollment history have legitimate reasons for their enrollment pattern; however such an enrollment history requires a review. (N) - No unusual enrollment history issue and no action is required by the school. (2) - Enrollment history indicates the receipt of Pell Grant or Direct Loan funds at three schools over two award years. 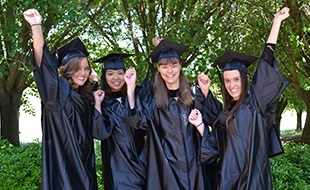 The school must review the student’s enrollment and financial aid records to determine if, during the three award year review period the student received a Pell Grant or Direct Loan at the school performing the review. If the student did not receive a Pell Grant or Direct Loan and the current school, then the school must review academic transcripts to determine if academic credits were earned. (3) - Enrollment history indicates the receipt of Pell Grant or Direct Loan funds at three or more schools in one award year. The school must review the student’s academic records to determine if the student received academic credit at the schools the student attended during the most recent three award year period. 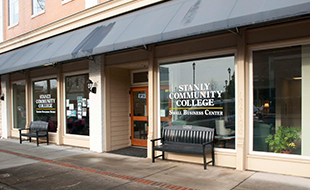 The SCC Financial Aid Office determines academic credit earned by reviewing academic transcripts from previously attended schools. If it is determined that no academic credit has been earned, the student is able to present a statement indicating the reason(s) for review. The statement is presented to the Dean of Financial Aid Management for a professional judgment decision. If the decision rendered is positive, the Dean of Financial Aid Management reserves the right to restrict enrollment and/or places student on an Academic Educational Plan. 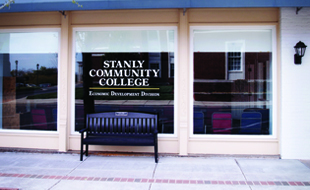 If the decision is negative, then the student would be denied financial aid eligibility at Stanly Community College. Unusual enrollment issues must be resolved to complete the financial aid process for awarding of eligible funds.